This first week was arguably the biggest, but there are still some gems to look forward to. Unfortunately none of them are completely "new", as the US has already had them available for some time. That's all you can look forward to this Festival. If you were hoping for titles such as EarthBound, don't be disappointed - There will almost certainly be more Hanabi Festivals in the future. looking forward to getting doremi fantasy at last. downloaded super mario rpg as soon as i saw it on the shop at midnight last night and the lost levels this morning. DoReMi and Lost levels will be my choices this festival. SMRPG is no doubt a good game but I don't have the desire for it as some others seem to have. I'm looking forward to Shining Force 2 and Pro Wrestling. DoReMi will also be a download for me. NoE has said nothing about WiiWare. I personally expect we'll finally take a break and get three weeks of VC in a row, but anything can happen of course. I am well chuffed that Super Mario RPG and the lost levels is out. Can't wait to get DoReMi Fantasy: Milon’s DokiDoki Adventure and Bio Miracle Bokutte Upa either. Everyone needs to pick DoReMi up, its an excellent game. Bio Miracle is the strangest platformer you could ever play so recommend checking that out too. Great announcement anyway, it's about time Europe and Australia got these games! Bio Miracle is also an excellent game. I strongly recommend both. Dig Dug is good as usual and I didn't download spelunker so I have no clue if its good or not. Anywho, great lineup for you guys. I can't say that I am keen for these other titles, but am thrilled for the two mario hanabi releases! The other hanabi title I would love to see is Dracula X: Rondo of Blood, but I guess I'll just have to wait!! Are they seriously going to export Spelunker? Of all games...geez. ATTN PAL region: Do yourself a favor and do not even think of downloading Spelunker. DO only I think this or is Hanabi now a half-yearly occurence? If so, great, NoE! That's good idea. So Spring is for non Nintendo systems, and fall for Nintendo Systems? @ZueriHB: The 2nd Hanabi Festival was 3 months ago, so it's not a 6 months occurence. Lucky, Lucky. I wonder if they'll remove the Lost Levels again. "That's all you can look forward to this Festival. If you were hoping for titles such as EarthBound, don't be disappointed - There will almost certainly be more Hanabi Festivals in the future." Thats true because Nintendo may want to spread some of these massive RPG's over the long haul. They still have Phantasy star 4, Shining force 2, and Y's to release. It seems as though the fall Hanabi Festival boasts games released on Nintendo systems whereas the spring Hanabi Festival boasts games released on non-Nintendo systesms. That means you might have to wait a year for Earthbound. Does anyone recall what was released this week in the US [Hint: It was big!]? You know how i fell about Mario RPG so far its a great game . It may be a simple RPG as compaired to many other RPG'S (e.g. Final Fantasy) but still its great . Did I even mention it in this thread? No. I just want to look forward to the good stuff of the Hanabi Festival. Seriously, after all the acclaim I've seen for DoReMi and Bio Miracle, I seriously want to check them both out. I really hope that's not all there is. I don't mind DoReMi or Bio Miracle Bokutte Upa but Spelunker is not a good game and what gamer hasn't played Dig Dug? Seriously Hoping that Nintendo surprise us. Maybe they'll release non import games and WiiWare games alongside the Imports, like with Metal Slug. Good for you guys! DoReMi Fantasy and Bio Miracle Bokutte Upa are both really excellent games and I'm glad you'll finally be able to play them soon. @AngelBlack: Don't expect too much, just because many want it doesn't make it an import. It hasn't been rated yet by Western Boards and it isn't a Game from Nintendo's console, which the others are. DoReMi Fantasy is such a great platformer game. Definitely download this game. Granted it's not translated so you won't understand the storyline but it doesn't detract from the gameplay. 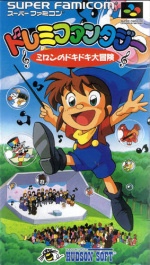 The VC needs more quality import titles like DoReMi. Damn. There goes my theory that they were going to have a "simultaneous" release for Super Turrican 2. Since it's "Nintendo Systems" for this Hanabi festival apparently, we have no hope in hell of seeing any Turbographx imports. I do hope to see Dracula X in the future though. Ha Ha. You guys aren't getting some of the games a few of you appear to be hoping for. Of course the isn't anything official about there being only games on Nintendo systems yet I think. Is this a fan conclusion or is there a note from Nintendo saying on their systems? well i was hoping/expecting for Sonic SMS and Parasol Stars soon but I suppose I'll have to make do. Agreed I am dissapointed to see no sign of Dracula X but at least we got Super Mario RPG and SMB:TLL as well as two top quality coming up soon so all is not lost. Still could have done without Spelunker. @Bass there is still a chance to in seeing Parasol Stars and Sonic coming out September. Remember Metal Slug came out on a Hanabi Week sometime ago. Imho expecting Dracula X and Earthbound in Europe now is like expecting Mystical Ninja 2. It's likely that they could appear as imports (most likely Earthbound, since it's english and Ness is in SSB) but there haven't been any signs yet that they WILL come. If they would on HF3, it would have been rated by the OFLC. I don't know, I can only remember SMRPG getting an OFLC rating out of the six, not to mention that news story in which Nintendo started keeping their game ratings secret. Still, I'm not expecting any more surprises here. Sure, I would love to properly play Earthbound as much as anyone, but I'll be content enough to wait a little bit longer. That was only for ESRB (America). DoReMi and Bio Miracla Upa were OFLC rated before HF2. 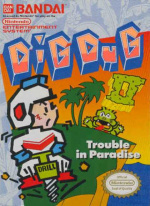 However, I don't know about Dig Dug and Spelunker, but they have been released in the US long ago. What is a Hanabi Festival, exactly? I think they are. Donkey Kong 3 still isnt listed even though it IS rated. Im willing to bet SMRPG is also hiding. But really its up to the publisher so unless Nintendo is forcing everyone else to hide their VC ratings then their all doing it on their own. By the way, a new VC may have been rated today actually. In my opinion, most of those games are average-great, with the one exception being Spelunker. I feel sorry Europe got Spelunker. Well I think its just like a band-aid. Its gotta come off sometime doesnt it? Its like Super Pitfall in the NA VC queue. Hardly anyone wants it but its gotta happen sooner or later. @Apocalypse: And you don't get Earthbound ._. DoReMi Fantasy and Bio Miracle are both outstanding platformers. Definite buys for those who enjoy the genre. How come the USA doesnt have these Hanabi Festivals? There's games that have only been released in Europe and Japan and not here. Like doshin the Giant. Because America gets import games every now nd then, instead of in massive chunks like Europe does. Honeslty, I prefer the American approach. Europe often have to wait until there's a huge bunch of import games ready for release, while America get them whenever they're ready. As you can see, all four of these games have been out in America for quite a long time. As for Doshin the Giant, Europe got the Gamecube game, not the N64DD game, which was Japan-only (not too surprising, as the system it was on was Japan-only as well), so you won't be getting that on the VC anyway. EDIT: Ah right, it was Cubivore. While these are games that we already have, I think theres some Import titles that Europe has that we don't. so is that it for games being released? or is there more? That's all the confirmed games but knowing Nintendo, there may be some surprises for us. OMG i wasn't expecting this greatness so soon! So this time is "Catch up with USA and shock the bejeezus out of our atlantic brothers with a game we never even got!". That's a good idea! But why is Spelunker there? Quality reassurance of old NES games or something? Archival purposes. Just so that its one step closer for everything ever made (as much as possible anyway) to be on there. I am kind of hesitant about downloading alot of VC games to my Wii. Question: What happens if you use up all your channels on the Wii and you want to download some more games. I have 14 spaces left till I am full. More like, how is it even possible to fill up all your channels without exhausting the internal memory? @Rexy: Yes it is, and with plenty of room to spare, if you avoid Neogeo, N64, Turbo-CD, and Wiiware titles, and mostly download NES, SNES, Genisis / Mega Drive, and TG16 titles. On my Wii, I have bought a number of large titles and a number of small titles, and have about 6 or 7 slots left on the 4th page, and 40-something open blocks on my Wii. The Wii is smart. If you successfully fill up your Wii channels, it will prohibit you from downloading or copying any more games to the system until you remove games by deleting them or transferring them to the SD card. 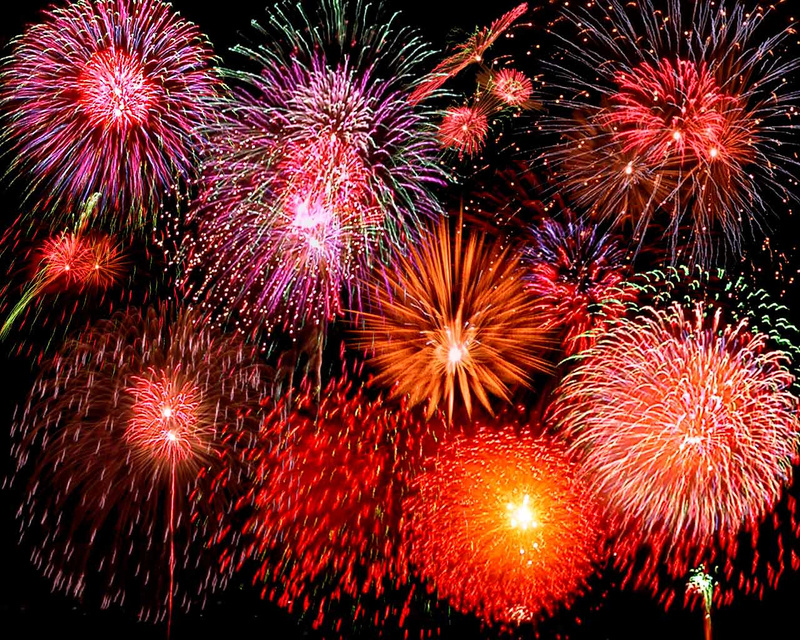 By the Way, beautiful image of the fireworks!!! If anyone has any doubts as to why NOT to download Spelunker, please read the review. If after reading the review, anyone STILL has doubts as to why Spelunker should not be downloaded, then by all means, waste your Wii points. And as you cry over those lost points, just remember I TOLD YOU SO! "But why is Spelunker there?" Just because it exists is probably the most accurate reason I should imagine. I doubt Nintendo cares about quality too much unless its good quality then they will withhold games until special occasions. But bad games, if they can go on, they will go on (this probably doesn't apply for C64 games though). Looking forward to Doremi and Bio Miracle looks like good simple fun! I was waiting for this game for a long time...Mario RPG is just a bonus. I'm glad the Lost Levels came back as I got my Wii in Christmas 2007 and missed it first chance around! Yay! And DoReMi is brilliant, it's one of those games you must get. Hah, I figured that out just as much by seeing the size of some of my NES and Genesis titles on my hard drive. Still, I kind of wish that Nintendo would do something about the space issue, especially since there's more and more games coming out that refuse to be copied to an SD card. I find it funny that I could care less about every one of those games you mentioned. I guess that's why I get annoyed by the complainers so much. Oh, and you forgot to mention Majora's Mask, a lot of people want that one. In any case, it's good to see you guys are getting these great games. I didn't even know DoReMi Fantasy wasn't available in Europe yet, you were really missing out! Best Hanabi festival since 1958. I can't wait to get my filthy hands on DoReMi Fantasy and Bio Miracle. I am downloading a playable demo of Star Wars: The Force unleashed and I am very excited to play it. @Tabbyluigi. I haven't seen a single person who even mentioned Timber 64 or a Virtual Boy game. @Rexy. "I kind of wish that Nintendo would do something about the space issue, especially since there's more and more games coming out that refuse to be copied to an SD card." You, me, and I'm sure thousands of others, sister. And I feel your pain on the "games that refuse to be copied" part: Most of the games I have don't save by battery backup, so I can't transfer their save files to an SD card. I just wind up copying the channels. Anyway, it looks like you guys are getting some good games down the pike. I've heard BMBU and Do-re-mi are good, though I don't know how good exactly cuz I haven't played them. Dig Dug is good too (I must be the first person here to say that. ), if you play it in doses, but I'm sure you guys have Namco Museums, so spending $6/600 points on it is kinda pointless. 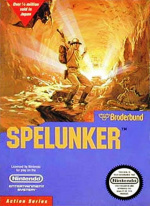 As for Spelunker, well... I feel for you. I really do. I would've downloaded Do-re-mi Fantasy already, if it weren't for the whole "everything's in Japanese" part. Nintendo does something about the save issue, I hope it doesn't last that long though. Starting games from an SD Card would be the easiest solution imho. The games you download are packed and their real size gets unpacked before you start the game, so I don't see a problem allowing to unpack those games directly from an Sd Card. I heard that Homebrewers already solved that. So that would just be Wario Land then. And I've played the ROM of DoReMi, Mr. Cheez - its not bad. Its still playable and you won't notice the Japanese much when you're in the actual game. lol Virtual Boy...the old days... I think that they seriously need Gameboy and Gameboy Color games on the Wii since nobody owns a GBA anymore...everyone's got a DS or DS Lite. Really? I don't know more than two people who have a DS, yet I know a ton of people who own a GBASP, DS owners included. Remake virtual boy games for wiiware? You've got to be crazy. There was only like one or two decent games for that abomination. If any 'portable' games were to be remade I'd say that some of the older and rarer Gameboy games would make great candidates. If capcom packaged the 5 Gameboy Megaman games in one wiiware program they could have my $10 right away. GB games on the VC will rock, no doubt about that. However, the hardest thing about it though would be through emulating the multiplayer proportions properly, unless Nintendo would rather intend for the multiplayer functions to happen online or something like that. It's not bothering me much though - I still have my GBA, and even my camp crimson pink Game Boy Color is still functional. I do however agree that more classic GB titles need to be given some kind of re-exposure to the current masses - Tetris and Pokemon Red/Blue are a start. This maybe the best Hanabi festival but are you sure the first one was in 1958 Junichi? I mean come on if this is the third one then why take so long to have a second Hanabi festival then followed a year later by a 3rd Hanabi festival? Majora's Mask too, but as for Timer 64 and virtual boy games they will be mentioned at the last of virtual console because people will never have the virtual console as perfect as they want it. Notice how SNES and N64 games are top dominant species of wan ted titles? I think we should a Mario week next week, even though it is unlikely, it would be Super Mario RPG and Mario Super Picross, why aven't they already released Picross in the US yet? My guess for Picross would probably be because of Pircross DS. I think when Mario's Super Picross was released in Europe, Picross DS in NA was still pretty fresh. As for right now though, perhaps Picross DS didnt have the impact it did in NA as it did in Europe so they might be reluctant to release it. I also was gonna theorize it was because the puzzles from that game were downloadable in the DS one but then I remembered it was the GB ones that were downloadable. Either way, it probably points back to Picross DS. But not that it should be faulted for it! Its still a pretty awesomesauce game. Well, I think it all comes down to varying degrees of the acceptance of Japanese puzzles from outside the Far East. Puzzles like the Sudokus and Nonograms (the latter of which being what Picross is based on) are actually pretty popular back in my home territory, so the release of Super Picross out here seems justified. I've no idea how the Americans have received any of these Japanese puzzles in the past, so it's probably a blind guess if anything. Bio miracle surprice me w/ the controls, is so good. I believe Mario's Super Picross was skipped due to the release of Picross DS. Picross is Picross, no matter what system the game is on, so I guess they'd want people to buy the more expensive DS game instead of the cheap VC alternative. I want SMRPG so badly!!! From what I've read, Battle Lode Runner was the first title released on the VC to not have an initial release outside Japan; therefore, the import taxes didn't apply firsthand. It should also be mentioned that it was released 4 months BEFORE the first Hanabi Festival, so it was most likely treated like any other game at that time. I reckon it's a pretty poor festival all in all. Sure, DoReMi and SMPRG are mildly interesting (Paper Mario is much better value and more enjoyable than SMRPG IMO) but all in all, Bio Miracle is the only game worth purchasing. Releasing SMB:LL again is just plain cheek and how the hell anyone could justify releasing Dig Dug and Spelunker as worthwhile import games is beyond me. The typical Nintendo logic defies me once again as I'd have thought more Ninja Gaiden or Earthbound would have been a lot more lucrative titles on the service. Really, when it was the only game that was retired not long after it came out? There's been some heavy debating regarding whether that decision should have been made or not, and now we feel more assured that it's out for EVERYONE to pick up and play, not just those that happened to be there the first time around. It's no reason to release it during Hanabi though - there's ton's of games that haven't been released outside of Japan and yet Nintendo chose to fill a slot with something that could have been re-released at any time. I doubt it would have been re-released at all if it weren't for the fact that NoA got it. Can't wait for bio miracle, and while it looks like a while away, Ys. @ Bass : I'd love for them to release parasol stars, because it's the only main game in the series that i didn't play much off, but i used to have a demo on the amiga, like 5 levels, and no kidding i sank more hours into that multiplayer then i do most new games.